I'll admit it, I'm not above bribing you to watch my video. 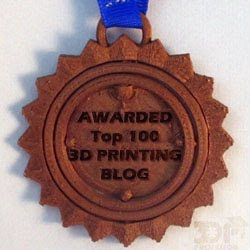 If you want to win a copy of my second 3D Printing Designs book, the SD Card Holder Ring, then you need to comment on YouTube. Each book has a focus. The Octopus Pencil Holder was about solid shape modification and modifiers. This second book is more about measuring and creating accurate-to-real-life measured objects than the first one. The Sun Puzzle, the third book in the series, is more about the sculpting tools. Of course you can get all three projects in one book at a slightly reduced price in 3D Printing Designs - Fun and Functional Projects. Concerning the results of the survey from my "Should I Censor my 3D Print Video" video, the clear result is that I should not do anything, so that's what I'm going to do... or not do. But I think it's interesting that while 1/4 of people said I shouldn't take it down because "screw-the-law", and 1/4 said I should be a nice guy and at least remove monitization, even if I didn't do anything wrong and might be legally justified. That is interesting to me. There's something about the fact that these two categories balance each other out. I just don't know how to articulate what it might mean, so I'll just leave it there. Besides that, this video also announced my Patreon, which if you're a frequent follower on the blog you already know about. Which lead me to ask, why aren't you a 3D Scholar yet? Sign up, and get not only exclusive 3D models but the source files for them as well. I'm still figuring out Patreon, so I'm sure I'm doing things wrong, but I'll figure that out one day I'm sure. Thanks for all your support.